It’s all about making a lasting difference in our patients’ lives. Mejorar la salud de nuestra comunidad a traves de la atencion de calidad, compasiva, accessible y economica. Visión; ser un modelo nacional de atencion medica excelente. We serve 1 in 10 people for primary medical and dental care. Today, more than 104,000 people in Tucson trust us with their care. El Rio receives funding from many health insurers, patient co-pays from our sliding fee scale, government grants and private donations to El Rio Health Center Foundation. 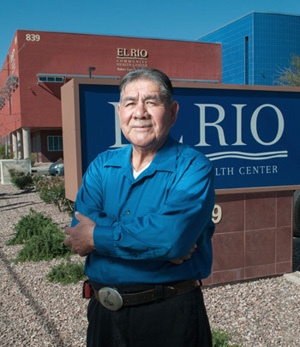 El Rio Health is a Federal Tort Claims Act Deemed Facility. This health center receives HHS funding and has Federal Public Health Service (PHS) deemed status with respect to certain health or health-related claims, including medical malpractice claims, for itself and its covered individuals.